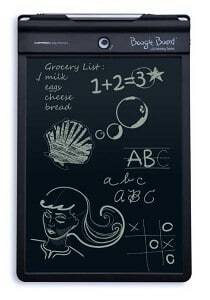 Boogie Board writing tablets are re-inventing notepads and pencils while reducing paper consumption. As a paperless digital memo pad, they are lightweight, fit into a purse or a briefcase, durable, and have ultralow power consumption. Great for drawing and syncing with your computer, phone, or tablet, these digital notepads have taken writing and drawing to the next level. 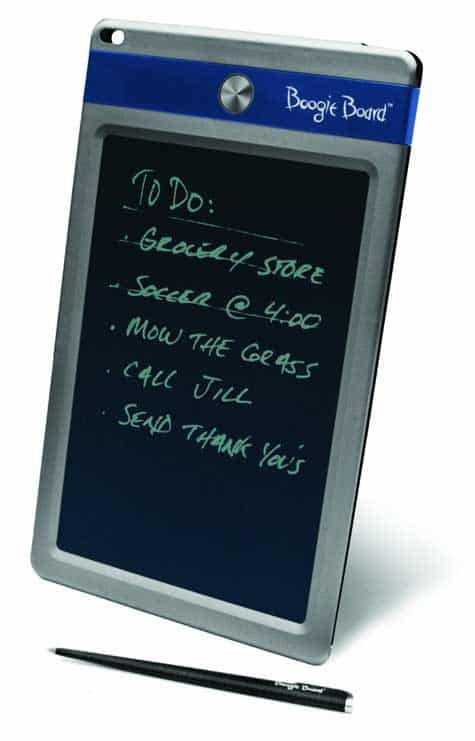 This eWriter has a larger work area, so there’s more room for longer messages or larger drawings. The LCD screen is pressure sensitive so it recognizes the softest touch of the stylus. Draw or sketch your ideas, then erase them. It is also manufactured with a scratch-resistant hard coating material to keep the screen safe. Use the erase lock button to prevent an accidental erasure. There is no storage capability, so when you’re done with one idea, just erase it, and replace it with another. This is a boogie board with replaceable batteries as it only requires two AAAA batteries (not included). And don’t worry, you can protect the LCD screen from damage or smudging with a neoprene sleeve which is also sold separately. If you’re looking for a replacement for that pile of sticky notes, here’s the solution. This gorgeous little tablet is great for on-the-go ideas. Use the included stylus pen to capture your ideas, and jot them down while they’re fresh in your mind. Have a thought, write it down, and then erase it with an easy one-click erase button. The replaceable 3V coin cell battery provides up to 50K erasures. 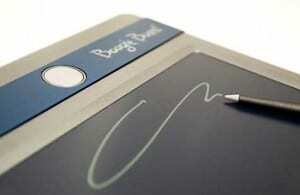 The LCD screen is pressure sensitive for light easy writing and drawing and is scratch resistant. For added protection, a Jot jacket can be purchased separately. The stylus can write on the surface, but it also pops into a slot on the back to serve as a kickstand to prop it up for horizontal viewing. The case comes in royal blue, black, or red and has built-in magnets on the back so you can mount your ewriter on the fridge, filing cabinet, or any other metallic surface. Parents can scribble notes or kids can use it as scratch paper for their homework assignments. The compact design of this awesome gadget will attract lots of attention. Its design mimics that of a smart phone in that it’s small enough to fit in your pocket, or hold with one hand, and write on it with the other. It’s one of the best boogie boards for students since it’s compact and replaces hundreds of pieces of scrap paper. It comes complete with a stylus pen that securely snaps on the side of the case. Use it to write with or let it double as a kickstand to vertical viewing. There is also a snap-on clear satin polycarbonate cover that protects the LCD screen when not in use. 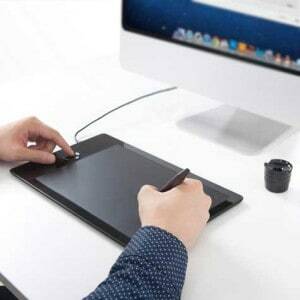 It has a pressure-sensitive screen, a one-click erase button, the stylus holder, and a built-in kick stand slot. The 3V battery is non-rechargeable, but it takes such little power that the battery could last for years. No accessories are available for the Jot 4.5 which comes in pink, gray, red, and blue, but it’s wonderfully unique and doesn’t really need anything else. If you need to capture your ideas and save them for later, the Rip stores your images in its internal memory as a PDF. Connect it to your computer with a USB cord (included) and download your work. Organize, edit, and store your images and notes on your desktop to eliminate messy notepads and burying yourself in sticky notes. With rechargeable batteries, the Rip is always ready to go. With average use, you’ll only need to recharge it about once a week. For extensive notes and drawings, you’ll need not only to save those pages but you’ll want to sync them with your other mobile devices. With the Sync, you can save every page of notes and each image and wirelessly (or via micro-USB cord) transfer that data to your computer, phone, or other tablets. Install the free Sync companion software on your computer and sync away. Draw an image on your Sync tablet, and see it displayed on your computer monitor in real-time. You can save all of your work as Vector PDF files, and upload them to your computer. From there, import the PDF file into existing drawing software (i.e., Adobe Photoshop), and manipulate them into a piece of art. With on-board memory capacity of over 5,000 PDF files, you’ll have plenty of storage for all of your ideas. Being integrated with Evernote, you can save and organize your files with no hassle. On a smart phone, download the free Sync app, and share files you created on your tablet via Bluetooth. You can even create and label the file folders from your phone. While the LCD screen is scratch resistant, you may want to purchase a protective carrying case for it. The Sync Folio is sold separately and coordinates with the black and orange Sync colors. By now you’re asking, How much are Boogie Boards? The basic models start out around $20 and move up the scale to approximately $100 which is, of course, based on functionality. If you’re wondering where to buy a boogie board writing tablet, they’re available at major retailers such as Staples, Kohl’s, Best Buy, Micro Center, BAM! Books-a-Million, as well as Amazon online. 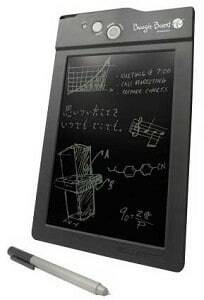 Electronic boogie boards eliminate the need for paper notebooks. Simplicity, mobility, and capability abound in these tablets. As you try to figure out how to choose a boogie board, two top factors to consider are size and storage. 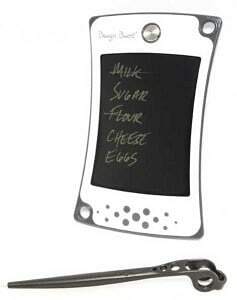 For a simple shopping list, the Boogie Board Jot 4.5 would be perfect. 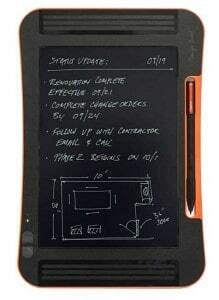 For presenting your architectural drawing during a conference, the Boogie Board Sync 9.7 would definitely impress. « Which are the best drawing boards for artists? » Which are the best acrylic paint brands for artists?